Mornings are crisp and dark, and duffel coats have come out of storage. 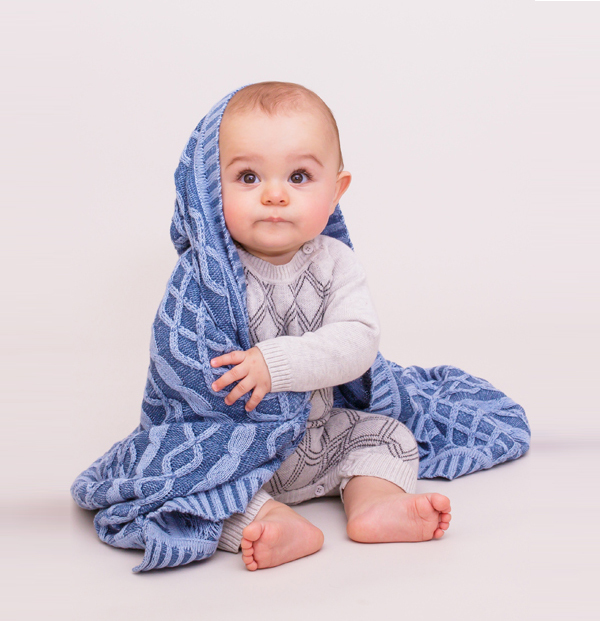 ‘Tis the season to rug up, and we’ve got some beautiful blankets for kids and babies to show you. Diamonds and triangles and bears, oh my! 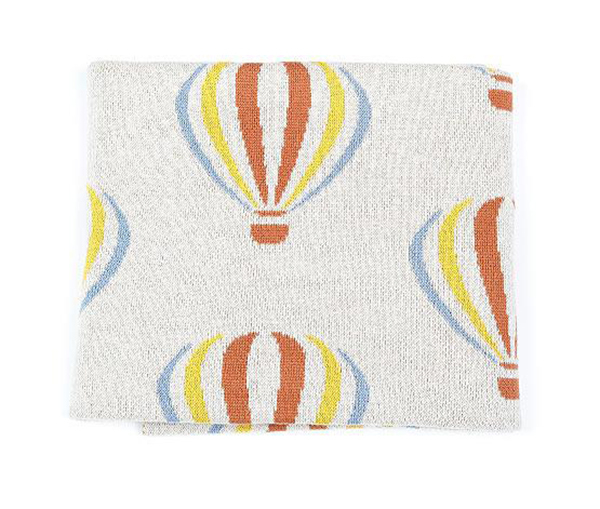 Lola & Stella’s 100 per cent organic cotton baby blanket is for babies who are joining the style game early. It’s monochromatic, has a geometric print and, in the world of nursery decor, aren’t bears the new foxes, which were the new owls? We love this two-tone plaited cable knit blanket ($95) from Jujo for its slightly grown-up feel. As long as they don’t love the blanket into shreds, as kids are wont to do, this piece would make a gorgeous throw for the lounge. The elephant theme is still strong in nursery décor, but Weegoamigo’s Knitted Baby Blanket ($79.95) with its neutral colour palette and perky-trunked pachyderms trumps them all! 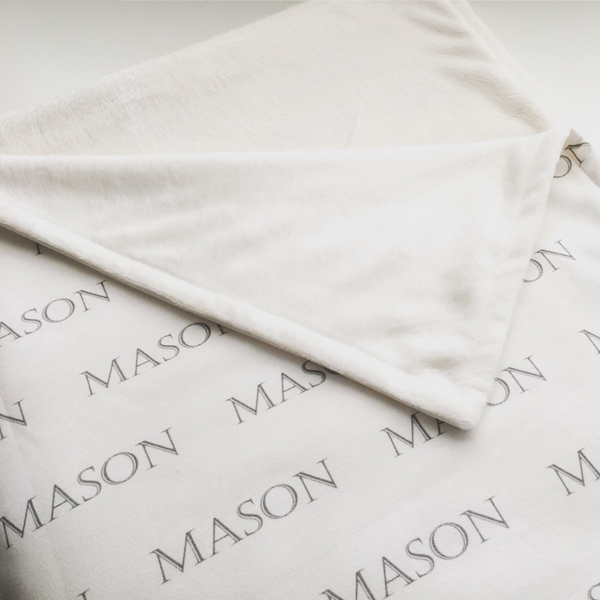 It’s made from cotton and bamboo rayon, so it’s perfect for new, sensitive skin. Indus Design does contemporary style to a tee. 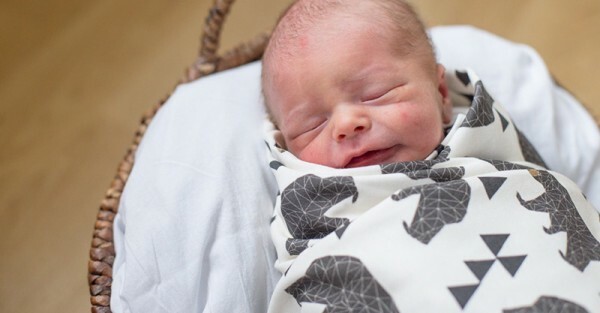 In the massive collection of patterned, knit blankets ($70), you’re certain to find something to suit your nursery, whether it’s got a monochromatic theme, or it’s decorated with bunting flags, or there are hot air balloons floating along the ceiling. Matelassé is a type of double layered fabric that looks quilted. All you need to know from this textiles lesson is that it’s divinely soft, cosy and breathable. Pottery Barn Kids’ organic matelassé stroller blankets ($55) come in pretty, traditional colours and are a lovely soft layer for babies in prams about the town. If you’re in the north, a cotton blanket will do you fine, but for us poor shivering saps in the south, Merino is essential. Uimi’s kids blankets ($145) are made from beautiful, colourful Merino and can take kids from the cot to the pram to their big kids’ beds. 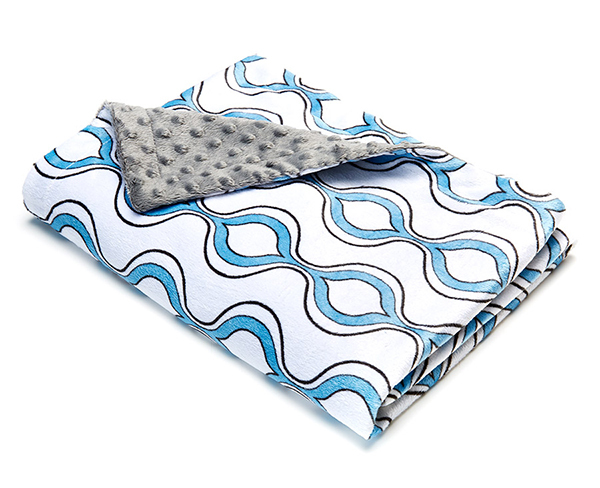 The Petit Nest Henri Pram Blanket ($29.99) from Babies R Us has a 70s vibe to its fluid, repeating blue, white and black pattern, and a grey minky liner that’s lovely and warm. 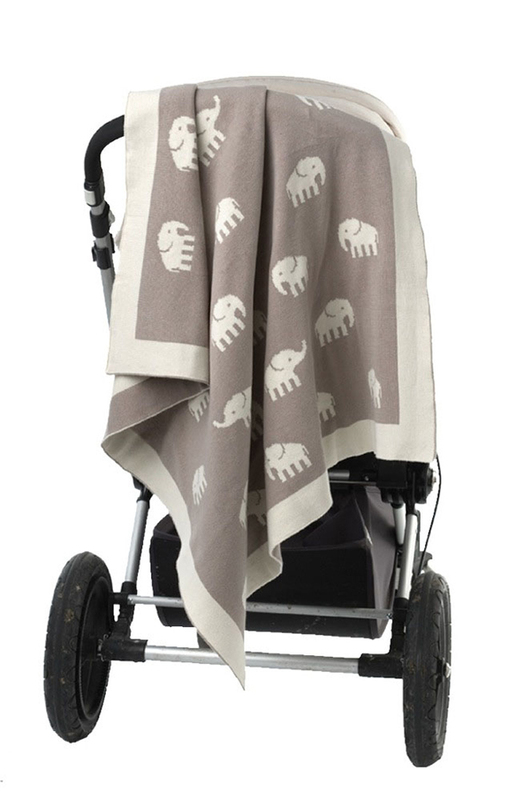 Everyone knows Bugaboos are seriously stylish prams, so it’s only logical that Bugaboo would design stylish pram blankets too. 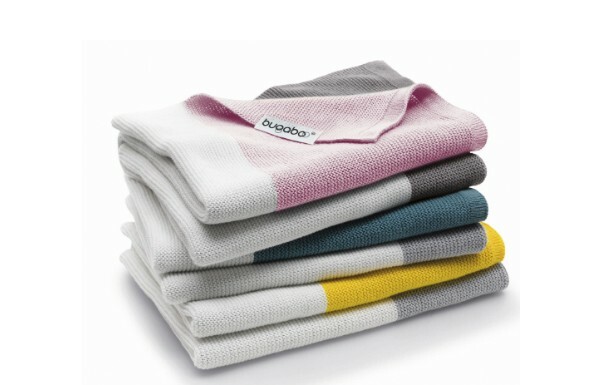 The colour blocked cotton blankets ($89.95) give a hit of colour to grey days, and the soft Merino blankets are perfect for keeping the chill away. 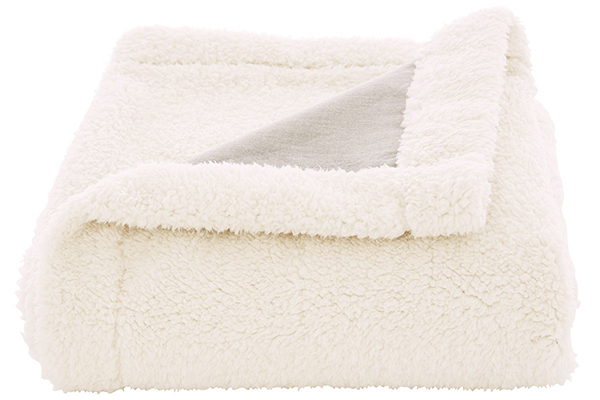 Sheridan’s Alesandro kids throw in fog ($89.97) is luxuriously fuzzy. We love the neutral palette: the outside looks like cream sheepskin, and the lining is grey. Signature Creations does luxuriously fuzzy one better, offering to personalise blankets with your child’s name. 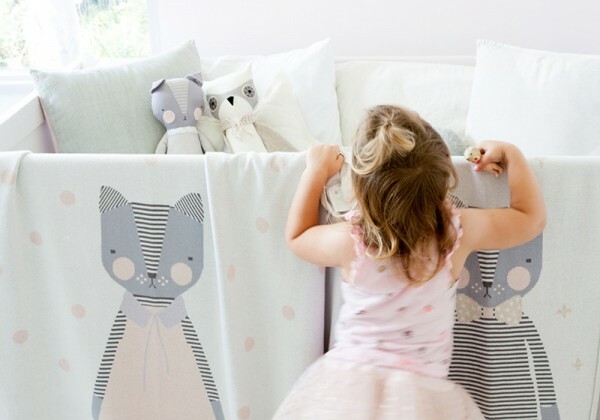 Choose your font and fabric pattern, and the blanket ($140) comes lined with silky soft minky. 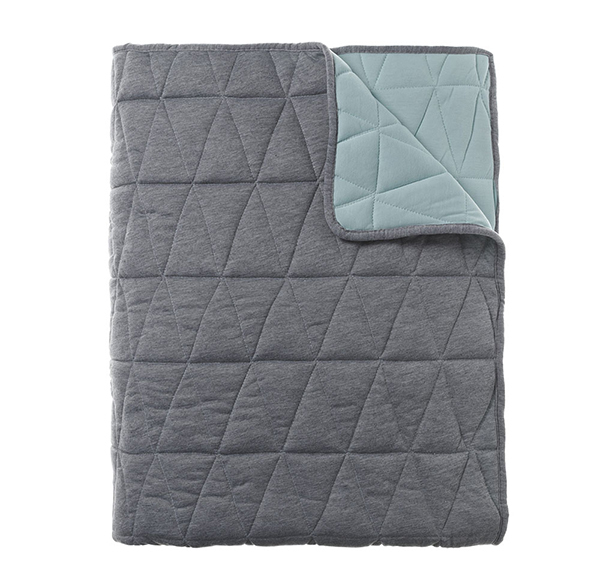 Shades of petrol blue and grey seem to be the colours of the season, and Adairs gets the balance just right with its Ashton Jersey quilted blanket. There are sizes for cots ($34.95) and single beds ($66.45). We recommend the larger size as the cot days don’t last long, and it’s nice for kids to take their favourite blankie to their toddler beds. Alphabet through osmosis? You never know what kids are up to, especially when they’re sleeping. In the event that osmosis actually works, kids can learn their ABCs with Pumpkin Patch’s Bootiq Alphabet Quilt ($28). A glint of silver or gold dresses up a neutral colour scheme without overwhelming the room, and the Cameron Cot Coverlet ($59) from Pillow Talk with its silver stripes has just the right amount of shine. Dapper cats and kittens have found their new home on the lovely Jolie Petite Chose Kitty blankets. 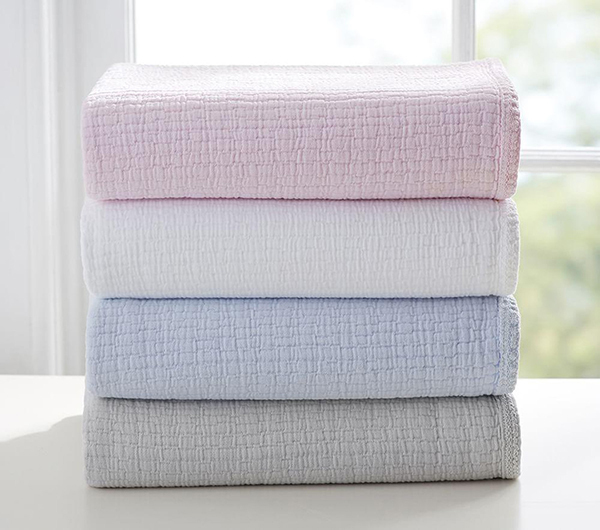 These 100 per cent cotton blankets ($159) make a pretty addition to a neutral nursery. The cat’s striped forms are surrounded with spots or crosses, and wear a peach dress for girls, or a bow tie for boys. 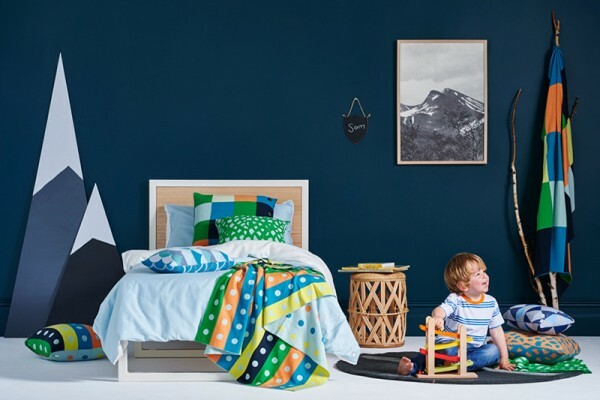 Now you’ve got your list of lovely blankets, all you need is a bowl of popcorn, a movie on the telly and a cuddly kid or two to make it through the chilly winter.